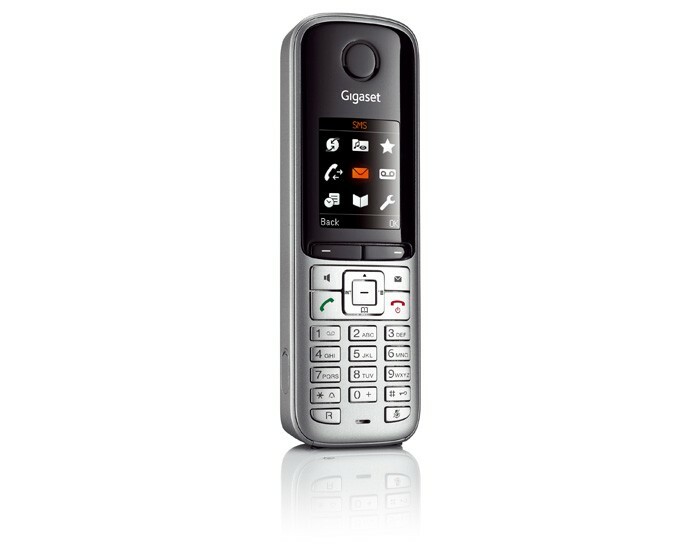 The Gigaset S795IP offers unparalleled performance and a rich set of features for both business and home users. Combining excellent sound quality with the latest VoIP and DECT technologies, this cost-effective solution also offers a number of extra features including a brightly lit TFT colour screen, a sophisticated answering machine and a phonebook with storage for up to 500 entries. 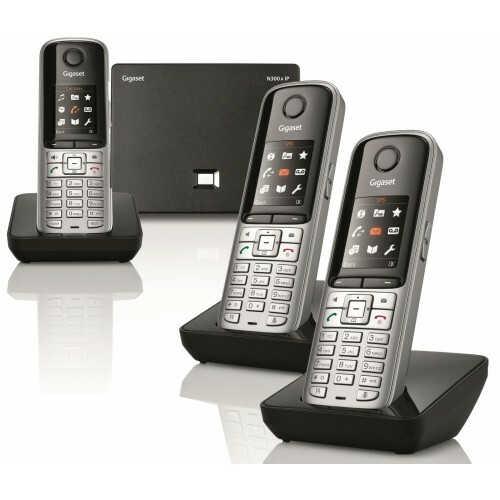 With the Gigaset S795IP, you can easily switch between landline and VoIP calls over the Internet at the press of a button, and with this set of three cordless phones, you can have up to three calls running at the same time. No computer is required for VoIP calls either. The sophisticated answering machine allows the phone to record up to 30 minutes of messages, and you can play back the recordings at any time by using either the controls provided on the base unit of the phone or on the cordless handsets themselves. Fast-forward and rewind are also supported using controls on the base. Along with exceptional sound quality, this high-quality cordless phone also helps to make sure that you don't get disturbed during the night thanks to its customizable night mode which allows you to define a period when the phone goes silent. The Gigaset S795IP is ideal for both home and business use thanks to its ease of use and rich set of features including cost-effective VoIP calls.